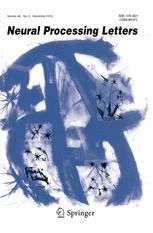 In the latest revision of the GII-GRIN-SCIE (GGS) Conference Rating, IWANN is classified as an "event of good quality". IWANN has also systematically appeared as a Rank B Conference in the CORE ranking, which corresponds roughly to the top quartile of Computer Science conferences. We are glad to announce the renewal of our long-standing collaboration with Springer for the publication of IWANN 2019 Proceedings in the Lecture Notes in Computer Science Series. All papers accepted and presented at IWANN 2019 will be published as full papers in the proceedings, regardless the form of presentation at the Conference. We are glad to announce the publication of a Special Issue of the journal Neural Processing Letters with extended versions of papers submitted to IWANN 2019. The great standing of NEPL in the scientific community is supported by its prestigous Editorial Board and its above average 1.787 impact factor. Papers submitted, accepted, and presented at IWANN 2019 will be selected according to reviewers' and chairs' assesments, and their authors will be invited to prepare a substantially extended version that will undergo the journal refereeing process. 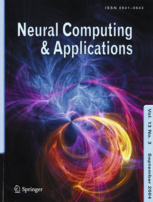 We have renewd the fruitful collaboration with Neural Computing and Applications for the publication of a Special Issue with extended versions of papers submitted to IWANN 2019. In the latest InCites Journal Citation Reports, NCA received a top-notch 4.213 impact factor. The edition of the NCA Special Issue for IWANN 2017 is about to be completed. 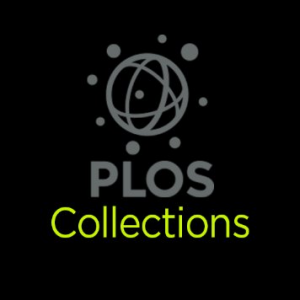 We are glad to announce the agreement with PLOS One for the publication of a Special Issue with extended versions of papers submitted to IWANN 2019. PLOS One is a very prestigious journal within the Q1 category of InCites Journal Citation Reports (IF=2.766). This biennial meeting seeks to provide a discussion forum for scientists, engineers, educators and students about the latest discoveries and realizations in the foundations, theory, models and applications of systems inspired on nature, using computational intelligence methodologies, as well as in emerging areas related to the above items. As in previous editions, we strongly emphasize the wide range of topics comprised under the umbrella of IWANN2019 and, in particular, we focus on trending topics such as Deep Learning and Big Data. This approach will be both theoretical and practical, through invited talks, tutorials, workshops, presentation of demos and functional prototypes. Besides, we offer the possibility to carry out a limited number of virtual presentations for those who want to participate but have serious difficulties on travelling. The proceedings will include all the presented communications to the conference. As in previous editions of IWANN, we are arranging the publication of the proceedings with Springer-Verlag as Lecture Notes in Computer Science (LNCS) series, and the books will be available on-site. It is also foreseen the publication of an extended version of selected papers in a special issue on several specialized journals. The special issues of both Neural Computing and Applications and Neural Processing Letters dedicated to IWANN 2017 are about to be published. IWANN 2019 Special Sessions will be a very useful tool in order to complement the regular program with new and emerging topics of particular interest to the participating community. Special Sessions that emphasize multi-disciplinary and transversal aspects, as well as cutting-edge topics are especially encouraged and welcome. Motivation and objectives for the session, emphasizing the benefits for IWANN 2019. List of, at least, five (4 - 5) prospective contributed papers (including titles, authors, and contact information of the corresponding author/s). Special session organizers should also contact a sufficient number of experts who are able to review the papers submitted to their session, bearing in mind that at least two reviews per paper are required in order to make the final assessment. The organizer of the special session may be one of these experts, or they may propose an alternative referee. The second mandatory referee will be chosen among the members of the IWANN 2019 Program Committee. Special Session organizers benefit from a 24% reduction in the registration fee.